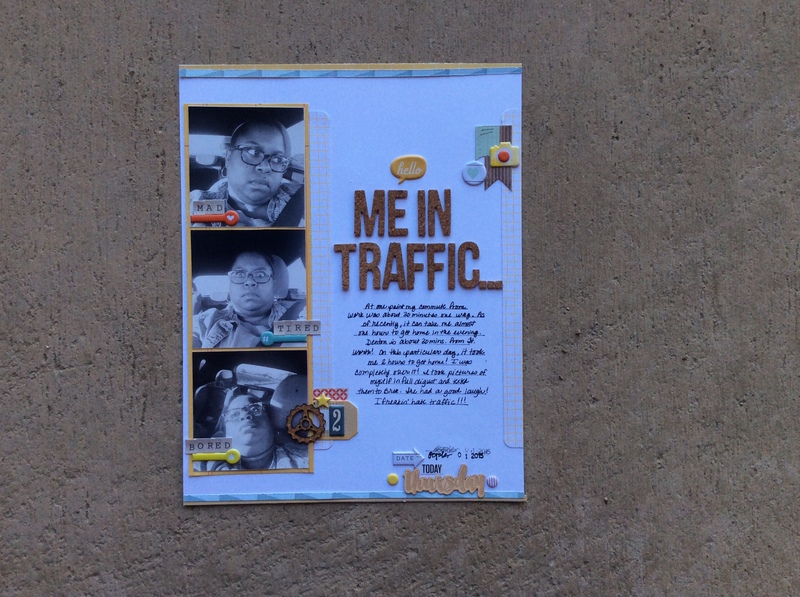 Early this month, I was coming home from work and hit a wall of traffic. It took me 2 hours to get home…2 HOURS! My normal commute is only 30 minutes. As I sat in traffic, I took a few selfies and text them to my spouse. “See, see! 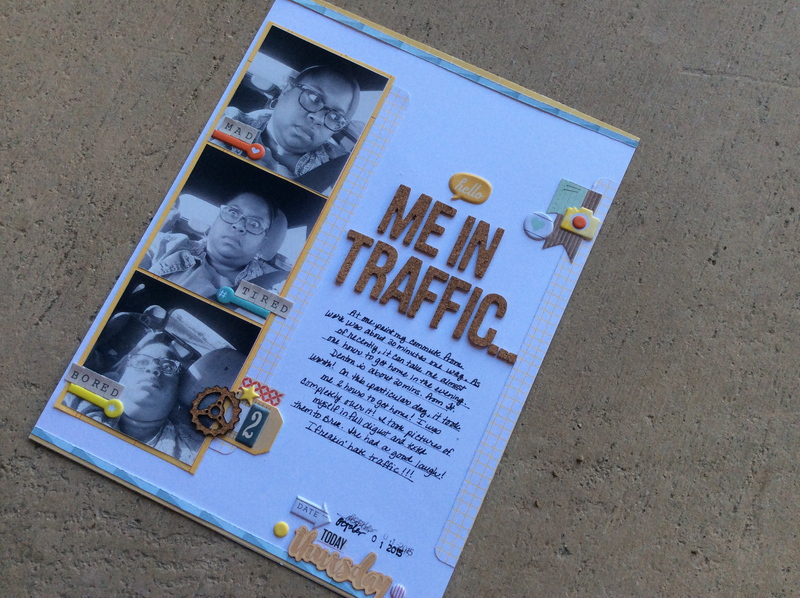 Still in traffic!” I ranted. I was completely over it! 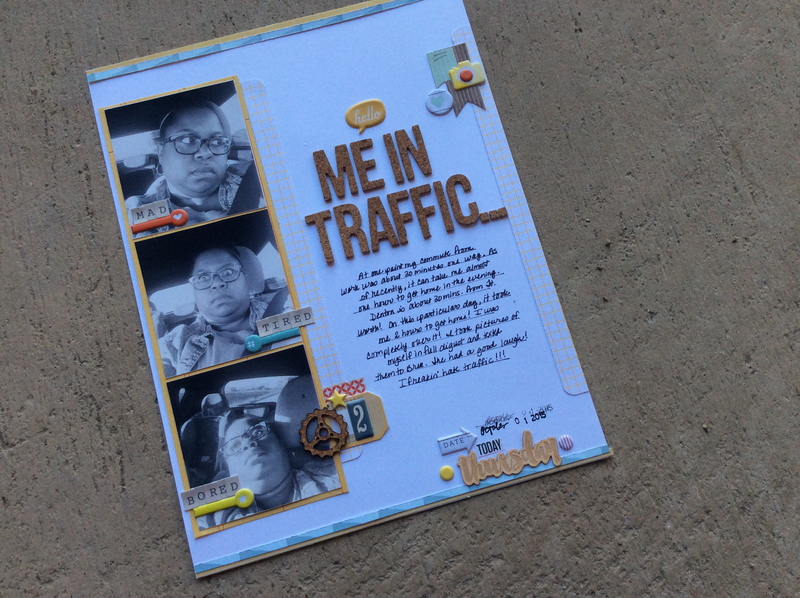 Using the September 2015 Skinny Love kit from the Scraptastic Kit Club, I created this fabulous layout of my traffic adventures. Check out the process video on the Victoria Marie YouTube channel! Enjoy! 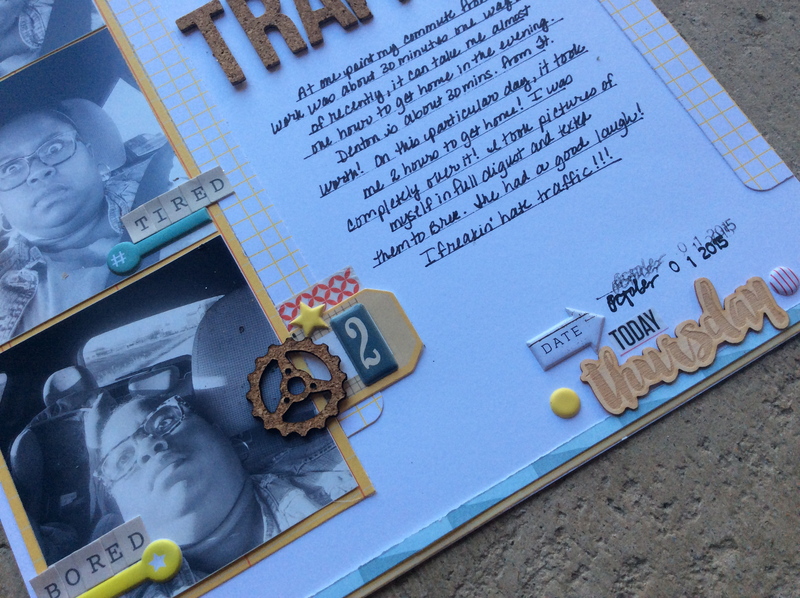 Scraptastic Design Team Layout #2 – Halloween Baby! 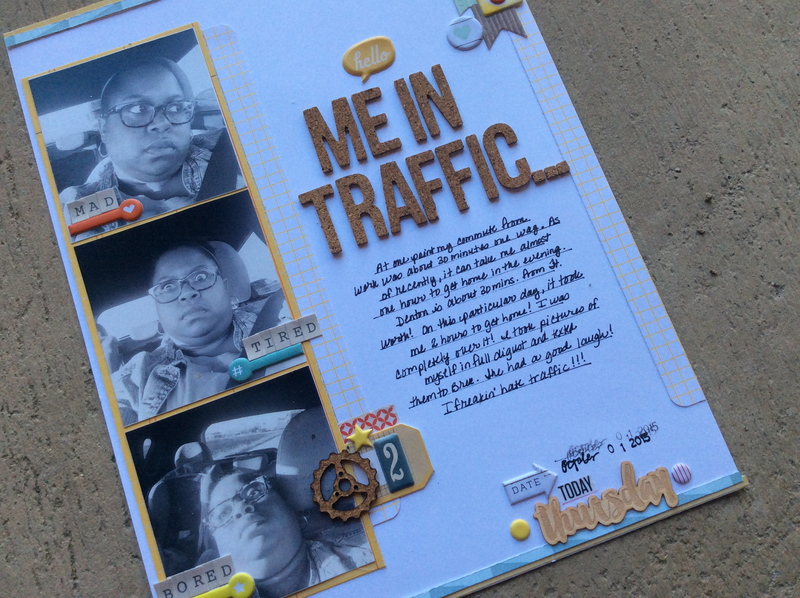 This is the kind of l/o that I like to see: everyday routines, mishaps, adventures. And your photos are hilarious! This is one that your daughter will get a big kick out of when she’s grown. Great job! Oh I agree! I like telling the special moments, but our every day life experiences are pure gold! It really did! I’m such a clown! Thanks so much for stopping by!